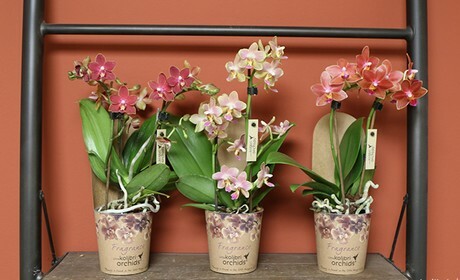 NL: "Growing demand for fragrant orchids"
Since OKPlant introduced a fragrant orchid named Little Kolibri Orchid Fragrance during the Trade Fair in November, demand only increased. Thijs van der Valk: "Although we can only supply small numbers as of yet, various customers reserve a part of the production. 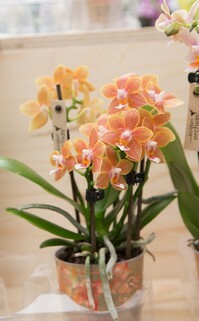 Particularly garden centers are interested in the fragrant orchid, because they can use it to surprise their customers." Thijs: "The plant converts CO2 into oxygen at night. This process releases a natural fragrance, which you can particularly enjoy in the morning." At the moment, the Fragrance is available in four colors: Orange, Brown, Pink and Red. "For now, these are the colors releasing a fragrance. 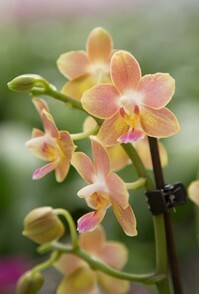 White and yellow orchids are harder to get fragrant. Meanwhile we are hard at work to introduce more varieties to the production line. We are closely working together to build a beautiful assortment. Growing fragrant orchids requires quite some attention. Thijs: "We are confronted with longer growing times. The plants grow differently from other varieties." But as small as the growth of the Fragrance is at the moment, the production of Big Sensation, now a successful product, started just as small." We try to introduce a new line besides our standard collection, or as we call it, a new family. OKPlant before introduced the Liberty, Vicrtoria Falls, Halo, Botanical, and Fountain. Whether consumers will like a product, is always the question. "Often, we notice some enthusiasm with our employees. 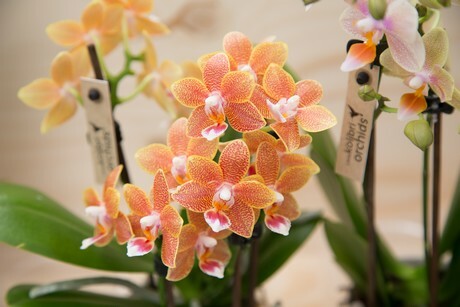 We also take part in the Orchid Inspiration Days in the summer period, which not only draws our customers, but also the end customer. It is the ideal opportunity to show new ideas and tell a story. 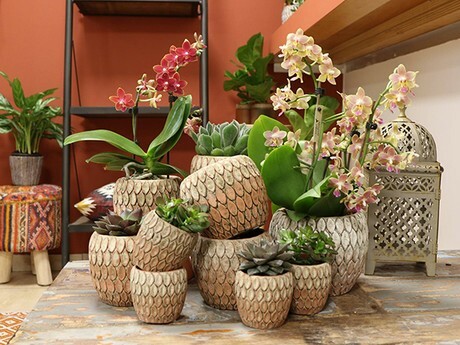 Once on the shelves, we tell the story to the customer by means of a special pot cover. We have experienced that story telling in this way triggers experts and consumers."